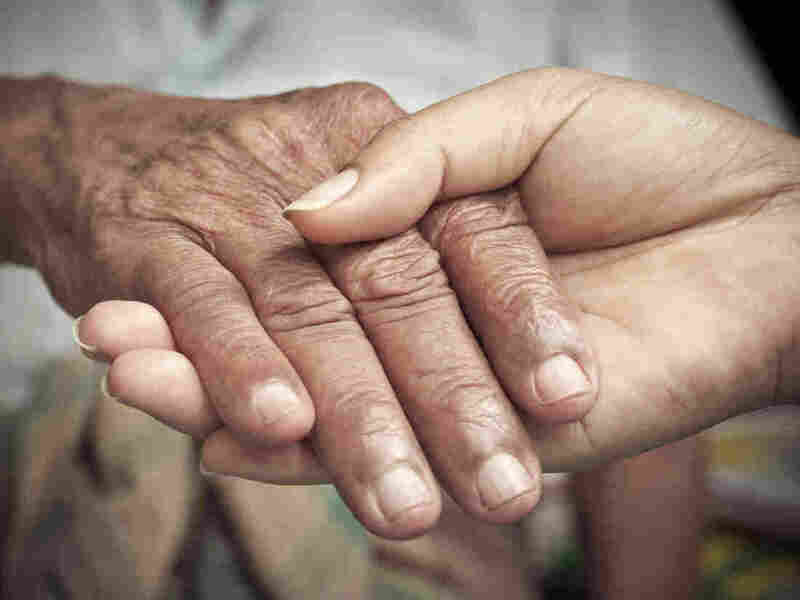 Perhaps It's Time To Celebrate A Day In Honor Of Caregivers Caregiving for family members is an essential and difficult job, especially with the number of Americans 65 and older projected to double by 2060. So, NPR's Michel Martin proposes a new holiday. We love mom. Or, at least, we like the idea of mom — even if, as countless writers have taken to pointing out, being a mother is as complicated a job as it ever was. Even recognizing the hardships of life in parts of the world — too-early marriages, too many pregnancies too close together with too little prenatal care, too little opportunity to make decisions for oneself, let alone for one's children — still, there are plenty of things to preoccupy us in the wealthy and healthy (by comparison) U.S. If you were to believe everything that's written and said about us American moms, it would seem we are always wrong. We work too much at our jobs for some critics, but we're not leaning in enough for others. We are too involved in our children's lives for some observers — helicoptering in, as it were — and not involved enough for others, not staying on top of those homework assignments, not spending enough time volunteering. We run ourselves ragged taking care of everyone else, goes one story line — or, wait, is it that we're so self-absorbed these days that we've lost the capacity to put other people's happiness ahead of our own? It's hard to keep up with everything I am supposedly doing wrong these days, but if i had a dollar for every time I got contradictory advice on the same day about how I should go about being a mother, I would be rich enough to worry about ruining my children's lives with excessive wealth, as opposed to worrying about not being able to keep them in soccer cleats and math camps so they can get that exclusive college scholarship. But can I just tell you? There's a new day coming. Just as President John F. Kennedy famously said we are all Berliners, we are all about to become mom. Why do I say that? I say it because our country is getting older. The number of Americans age 65 and older is projected to more than double by 2060, according to the Population Reference Bureau. Those age 65 and older will be nearly a quarter of the population by then, compared to 15 percent now. The gender gap in life expectancy is narrowing, meaning more men are surviving longer. But that doesn't mean that long-lived couples necessarily can look to each other for care, because more older adults are divorced or living alone for other reasons. And additionally, more people are expected to live out their days with Alzheimer's disease. That means someone will have to care for all these people. And that someone is all of us. Perhaps that is the point at which the judgment may cease and the problem-solving may actually begin. I say that because when it comes to children, it is perhaps unkind but common for people to default to the position that if you can't take care of them by yourself, with little help from anybody else, then you shouldn't have them. That logic doesn't work with elderly, frail and possibly sick parents. What is the critique then? That your parents didn't earn enough or save enough or have more kids to take care of them? That might be true, but how about another possibility: That we might finally begin to come to grips with this country's caregiving crisis. Caregiving is the rare profession that is both essential to everyone, at some point, but also low-paid and poorly trained and still wildly unaffordable to most people who need it. Something has got to give. Shall we celebrate Caregiver's Day, then? Not catchy, I know. But get the cards and flowers ready. That's where we're headed.